The New Moon supports the Heart’s effort to find the support necessary to stay on its path. Imagination and a sense of well-being shine light on the stepping stones of this path. Trump V shows us a shrine in which there is a priest-king on a throne who worships a goddess. There are strong guardians at the corners of the shrine, and a window just behind the priest’s head. Symbolism of multiple traditions abounds in this card. At the simple center of it all is a dancing child, which is the Heart, happy in a sense of purity that comes from staying on the path it has loved over time. Underlying the joy of staying on one’s path are spiritual concepts which provide a foundation for manifesting evidence of that path in life (throne of bull and elephant). For one, there is a re-defining of how a priest could be. This priest has the strength of a priest-king who uses his strength internally to endure a commitment (nine nails) to making earthly love (snake) and divine love (dove) harmonize. The very window behind his head which brings light to the shrine is characterized by the harmonious interplay of masculine and feminine (phallic headdress that can peer through lotus window). As ancient as this masculine-feminine theme is, it still needs regular tune-ups and cyclical attention as the spiral of progress on the subject slowly rises upward in the general consciousness. The Heart remembers to revisit the work in intervals of its own timing. Second, there is also re-defining of how the sacred feminine could be. This goddess (Venus who rules Taurus) wields the mysteries of the Moon (crescent in hand) with the clarity to discriminate (sword in other hand) between humanitarian uses of power and selfish uses. This work is important in that using mystical powers for nothing more than the pursuit of material wealth and status eventually harms the user’s ability to be fully human and fully divine, and also shows a bad example of spiritual empowerment to those who do not yet know that state. 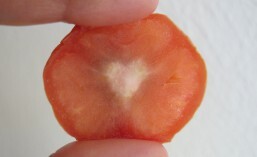 As important as that inner work may be, still, the Heart understands that the body must pay attention to supporting its worldly life, so the Heart patiently looks for opportunities for spiritual development amidst all the other activity. One such opportunity may be timely now. Trump V also signifies the Heart’s readiness for initiation into a relationship with a guide or holy guardian angel, so that higher learning can unfold. Just like graduating from one school and going to another for intellectual/vocational growth, stages of spiritual development also have completions and initiations. 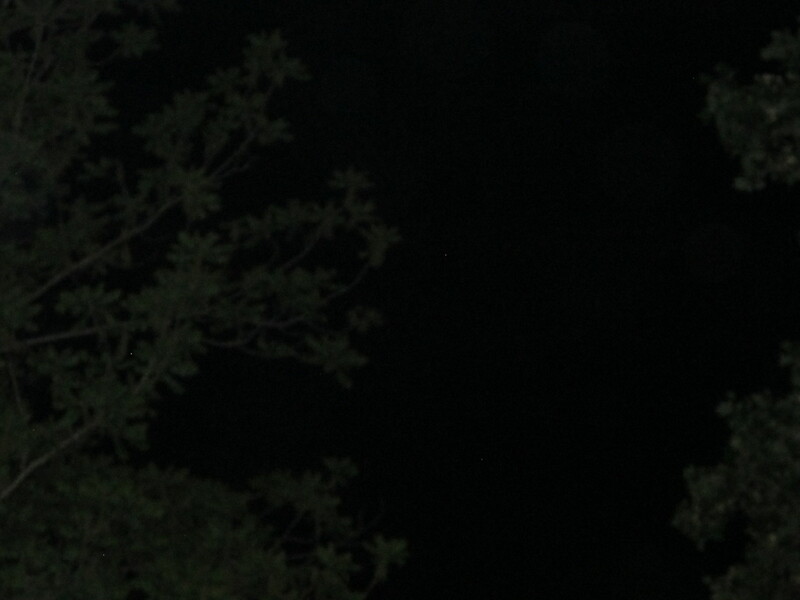 Some of those developmental stages touch on enough dark or unconscious places that they require guides. 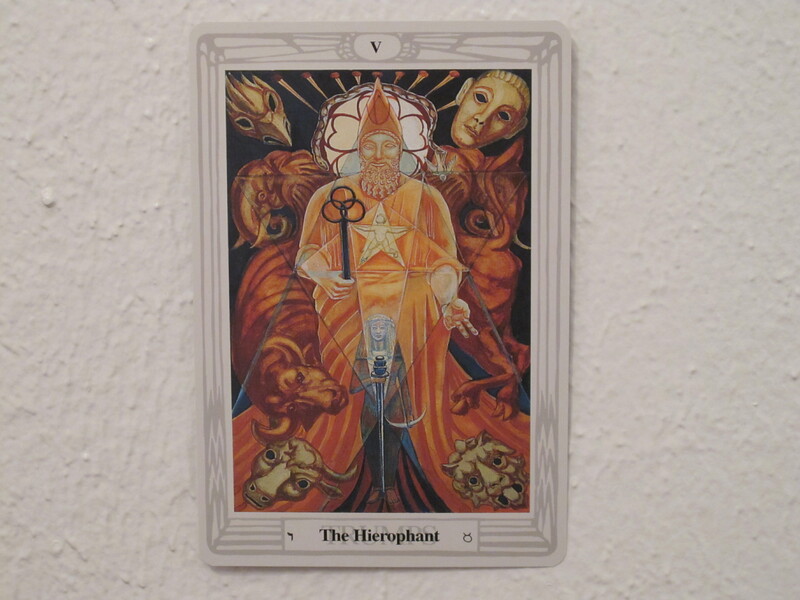 For example, Trump XVIII in the Tarot involves examining ancestral hatred and the many ways one behaves in an obligatory way instead of an authentic way. There is just too much raw matter and reprogramming of consciousness to do alone, and it is frustrating to just stand still internally while doing more and more of the same old same old externally. Examples of how guides have a place in diverse cultures are the elders in indigenous cultures, angels referenced in religious literature, the ladder of hierarchy in established religion, parents in family units, therapists in professional mental health services, and senior members of support groups. This New Moon offers a pause for reflection on the direction the Heart wants to undertake next and who might be the best support for it. 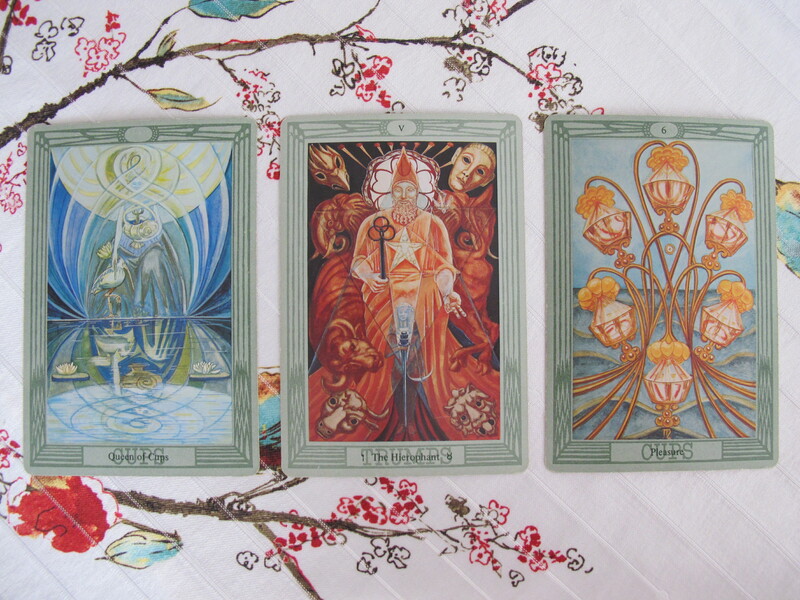 The supporting cards in the reading offer further stepping stones to expand the search for a guide. 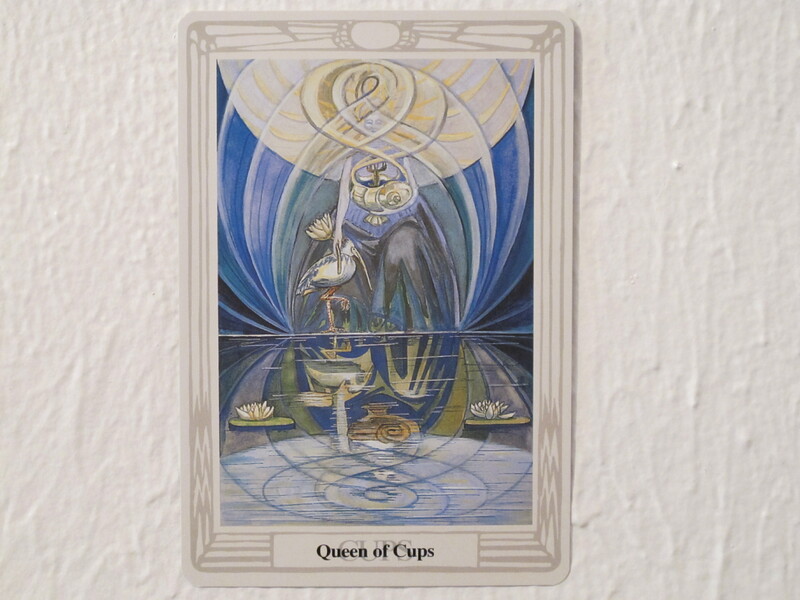 The Queen of Cups suggests two possibilities where guidance at the next level can be found. One, that the Heart can look to a good-natured person who it admires to discover the qualities the Heart hopes to develop next (mirroring). When the qualities are identified, the search for a guide who exists in the physical world would be clearer. Two, that the Heart can use imagination and dreamwork to vision-quest for a guide in the next important part of the journey (Queen = water element, Cups = intuition, dreaming, imagination, emotion). This would either provide clues to the right person in the outer world, or it would identify guides who are present in dreamwork, journal writing, prayer, meditation and active imagination (a technique practiced by psychologist Carl G. Jung). In all these possibilities, there are ways that the self can realize itself more fully, the way the Queen of Cups is beginning to glimpse her complete self by studying her reflection in the water. The 6 of Cups also indicates how to come in contact with the next guide. One, the type of leadership the guide would be offering would match one of the Heart’s deep seated wishes. Two, by pursuing an activity which seems satisfying at every level (not just the level of earthly desire), one would come in contact with like-minded individuals who could provide mentoring. How to go forward with this spread: First, study/review the qualities ascribed to “the masculine” and “the feminine” to note how those polarities are operating in oneself. Second, determine what the Heart wants to do about that dynamic, and within 48 hours of this New Moon make a statement about developing that area in a way that involves the Heart (poetry, art, ritual, prayer, other spiritual practices). 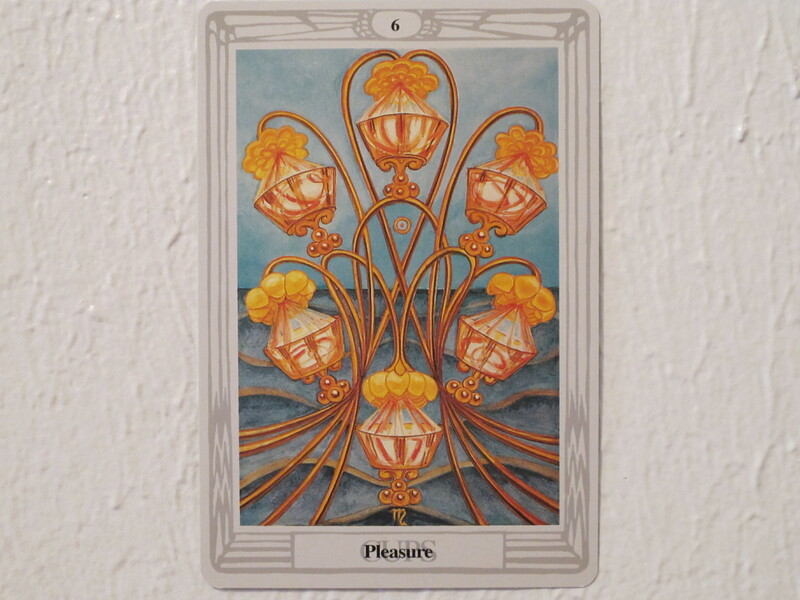 Embark on the stepping stones of the Queen of Cups and 6 of Cups, and by the next Full Moon, formalize what and with whom will be your next stage of development. This entry was posted in astrology, charlottesville, lunar cycle, new moon, ritual, spirituality, tarot and tagged astrology, charlottesville, entertainment, lunar cycle, new moon, ritual, spirituality, Thoth Tarot. Bookmark the permalink.